This week’s episode features writer David Pepose and artist Jorge Santiago Jr., the Ringo Award-nominated co-creators of SPENCER & LOCKE, the comic book crime thriller from Action Lab Danger Zone. The comic, featuring Jasen Smith (colors) and Colin Bell (letters) tells the story of the misadventures of a hardened cop and his imaginary partner: an anthropomorphic blue panther. 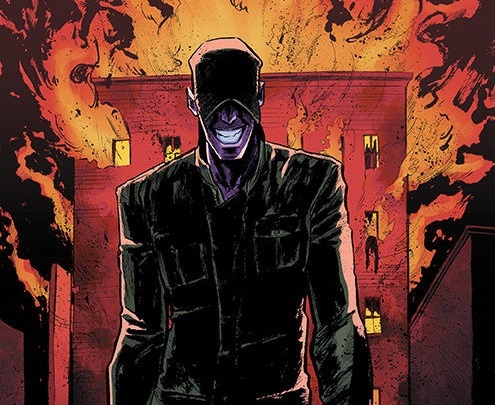 Picking up where we left off back in Episode 101, David and Jorge bring Adrian up to speed on the latest installment SPENCER & LOCKE 2 and the series’ new villain Roach Riley, a twisted take on Mort Walker’s comic strip Beetle Bailey. David and Jorge also discuss how they approached the second volume and continued to build on the high concept of the original arc by raising the stakes, but also maintaining the heart and personal connection to the characters.